Lately I have spent a lot of time with QBoy and XGirl focused on insects. 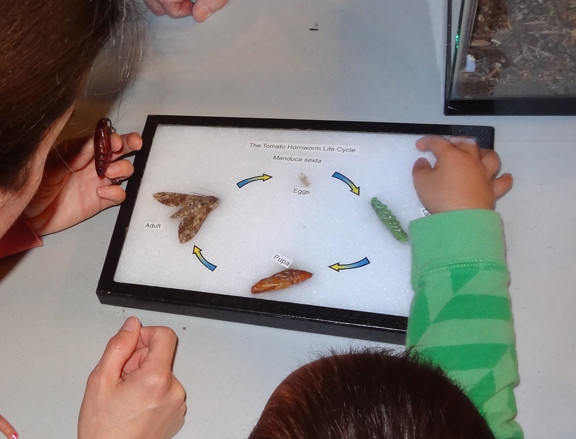 This is the first of several posts to document some of the activities we’ve done as part of our insect unit, which has included visiting an insect fair, raising butterflies, and raising silkworms! 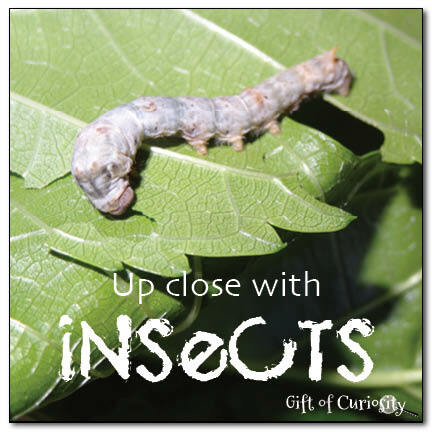 Note: For more resources, printables and activities related to a variety of insects, please see my insects unit study page. There is a great science organization where we live that hosts an annual insect fair. To kick off our insect unit, our whole family went to the event a couple of weekends ago. There were so many insects, and I only managed to capture a small number of them on camera. XGirl and I looked at meal worms, and in the green bin pictured below we got a glimpse of the adult beetles that meal worms turn into. 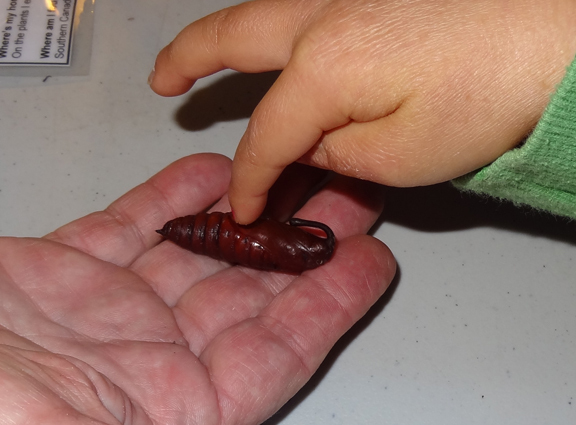 QBoy got to touch a butterfly pupa. And we got to see real examples of all four stages of the butterfly life cycle. 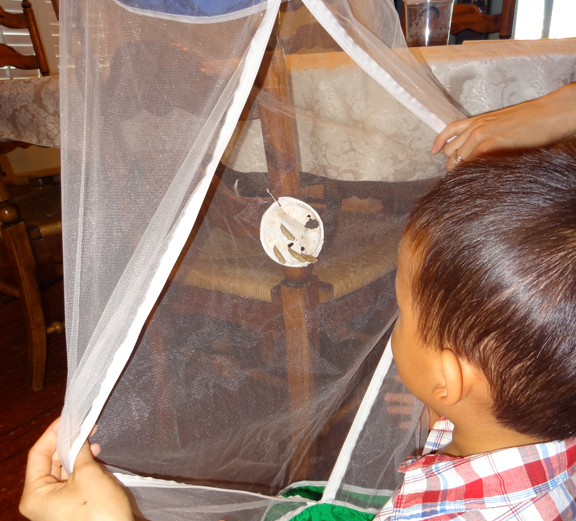 There were so many other wonderful insects as well – grasshoppers, walking sticks, ladybugs, and more. It was a great intro to our new unit for the kids. 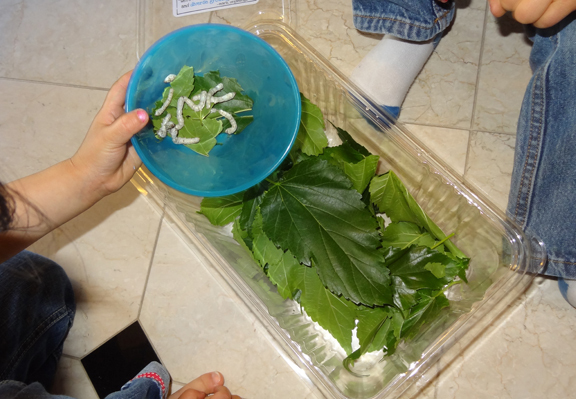 The kids were so excited when our caterpillars arrived by mail. They loved to look at them every morning and every afternoon to see how they were growing and changing. 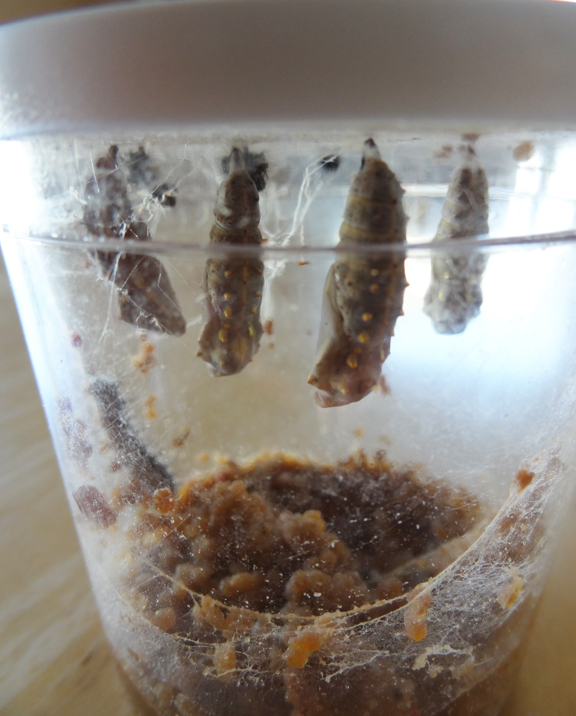 About a week after they arrived, the caterpillars started hanging upside down from the lid of the cup. 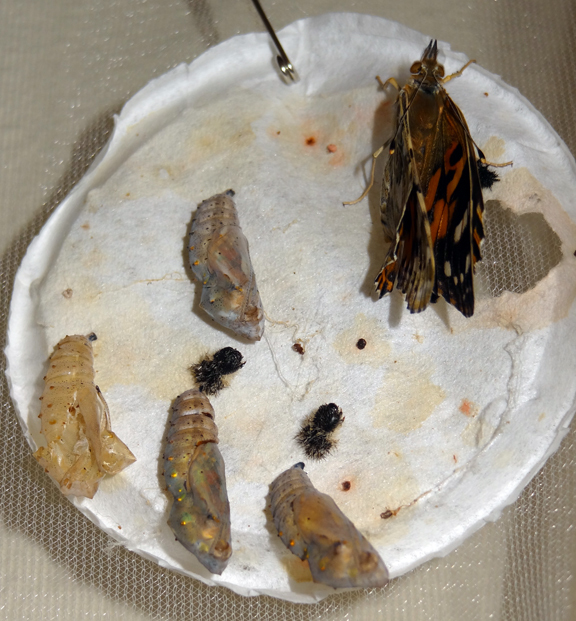 Then over the course of a day or so, their bodies changed into chrysalises. 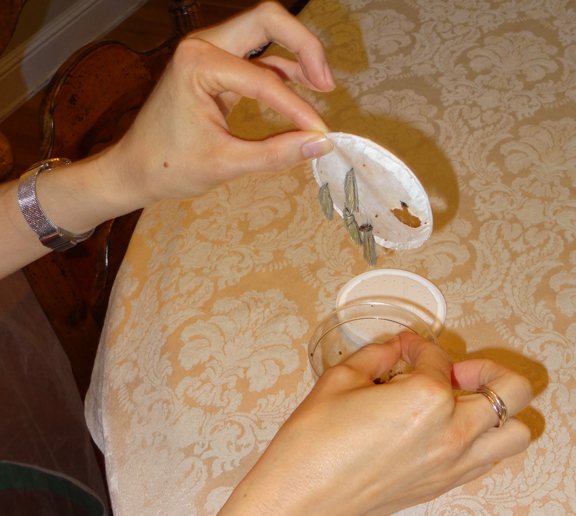 At that point, I removed the chrysalises from the cup by taking out the paper they were attached to. 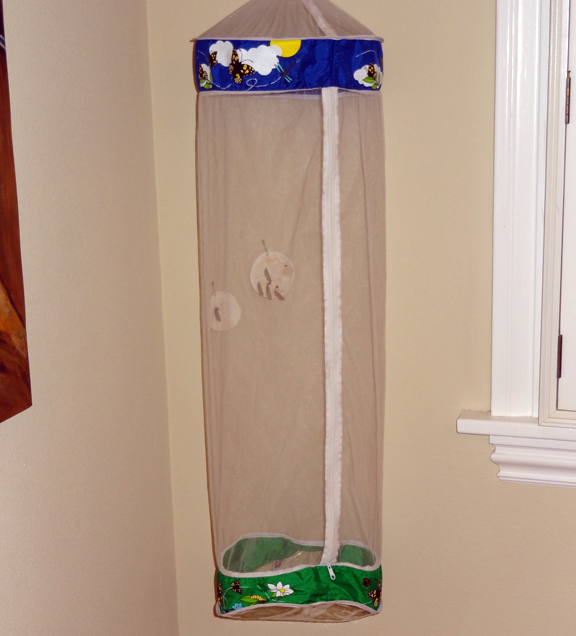 I then pinned the paper to the inside of our butterfly pavilion. We then hung the pavilion in a corner and waited. 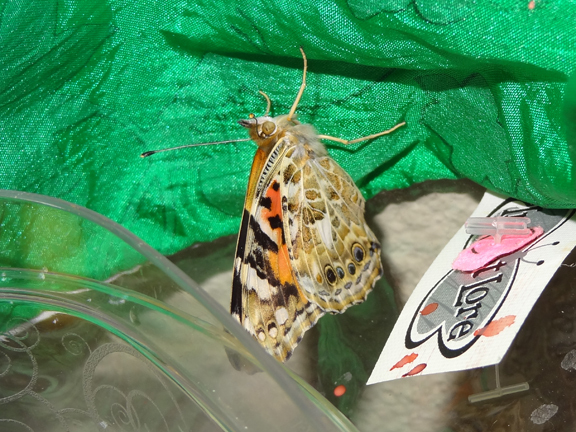 About a week later, we noticed that one of butterflies had emerged from its chrysalis! 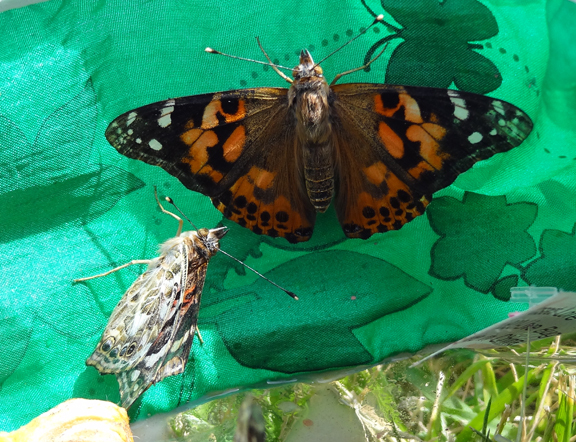 Within the next two or three days, four butterflies had emerged. The kids loved watching them and feeding them fruit and flowers. After several days, we decided it was time to let the butterflies free. We took their habitat to our backyard and opened it up for them to fly away. One by one they took off. One landed in our orange tree. 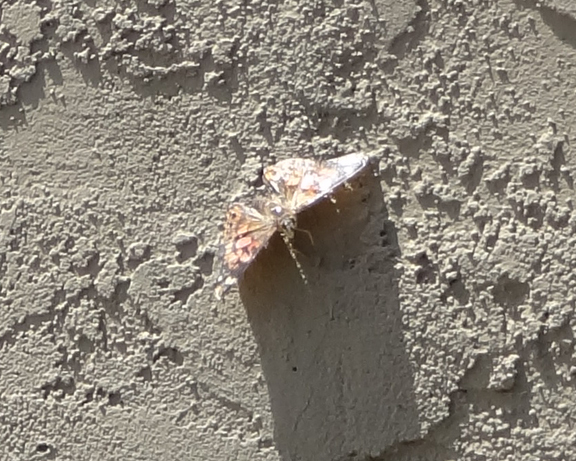 Another landed on the side of our house. The kids were fascinated to watch them take flight. We are using an old salad container to house them. The kids helped punch holes in the top so the silkworms would have enough air to breathe. 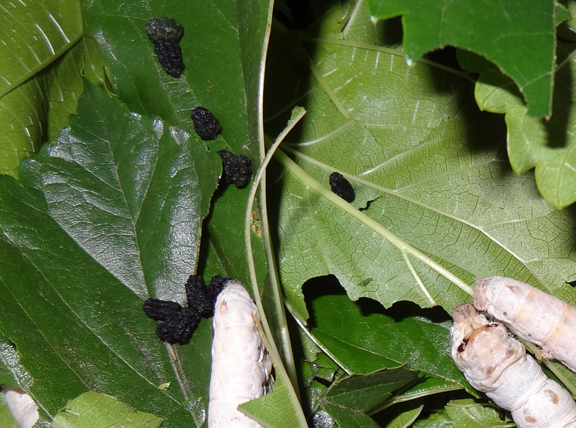 One thing I’ve learned about silkworms is that they poop a lot! But the kids really enjoy helping me to clean out their cage. XGirl in particularly has gotten very brave about picking up the silkworms and putting them into another container while I clean out the cage. 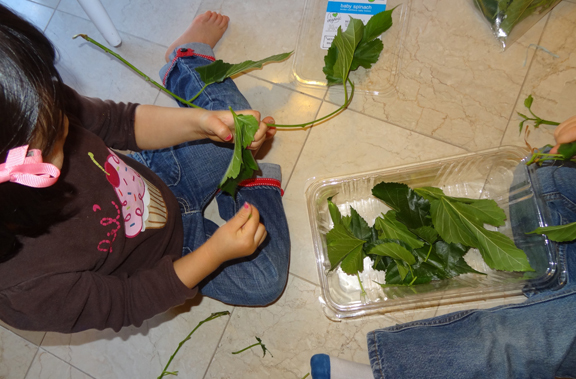 And both kids love putting fresh mulberry leaves back in. We have had them for less than two weeks, but my how they have grown in that time! And as they’ve grown, we’ve noticed that they are eating so much more, and pooping so much more too! They haven’t yet begun to spin their silk cocoons or turn into moths, but we look forward to that occurring soon. 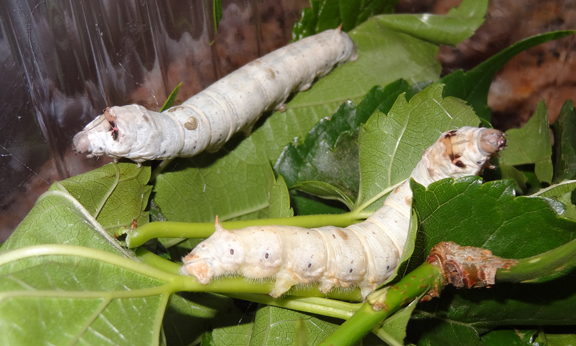 I’ll definitely share an update as our silkworms continue through their life cycle. Lovely pictures! We just finished our Butterfly Unit last week. It’s really an amazing process and my daughter had a blast when it came time to release them. Thanks for sharing! 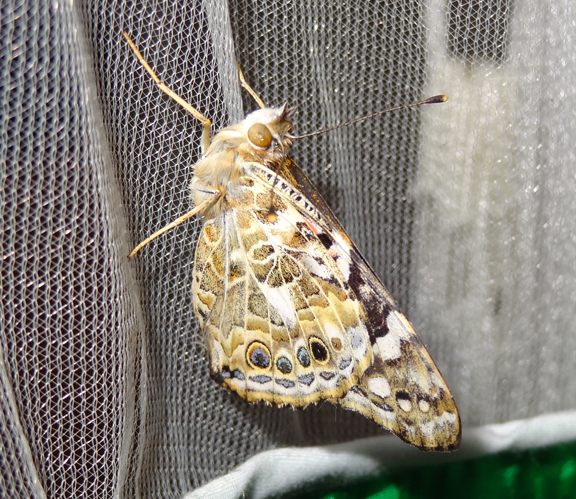 What a great experience to hatch butterflies and moths! I want to do this too this summer with my kids! 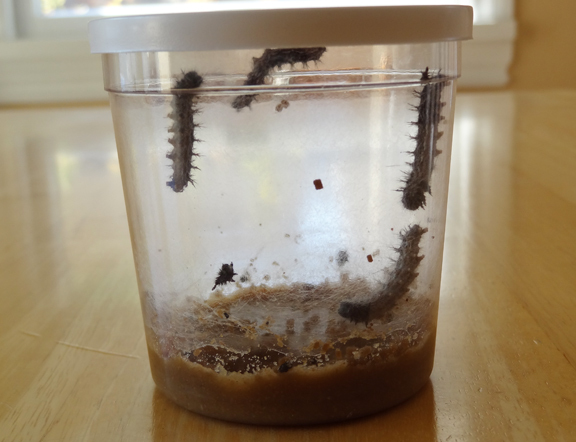 We just order butterfly larvae this week! I can’t wait to raise butterflies with my daughter. She’s so excited! 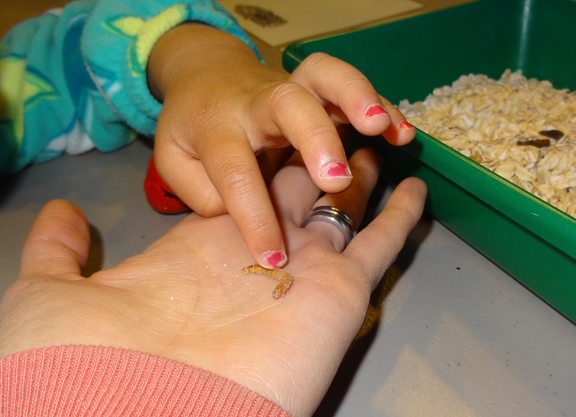 I used to raise mealworms and butterflies when I taught in the classroom. I haven’t ever seen a silkworm in the larva stage. Thank you for sharing your photos. I looked forward to seeing the rest of the photos. Oooh, have fun with your caterpillars! I’m sure your daughter will love watching them grow and change into butterflies! Cool and ewwwwww. 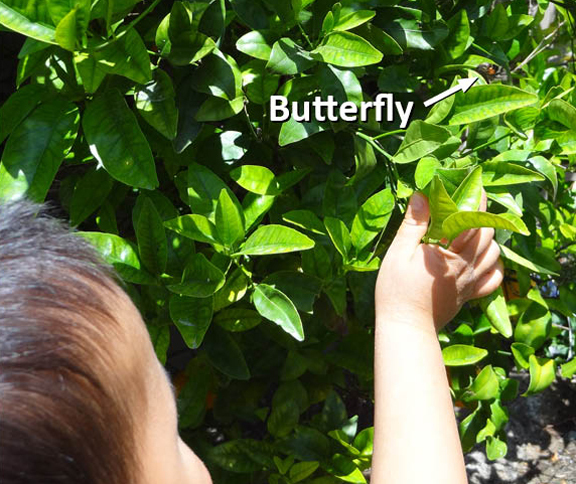 I’m not sure I would like touching all of those bugs, but I love that you got to see the life cycle of butterflies. That’s awesome. This is SO cool! I know I’m going to have to get one of those butterfly kits now. 🙂 Thanks for sharing! We just released our butterflies too! Looks like you all had a great time at the insect fair (I didn’t know there was such a thing). Thanks for sharing at Mom’s Library! Wow you got some wonderful pictures! Thank you for sharing them. We’ve just got a butterfly garden and we’re going to get caterpillars as soon as we get back from vacation. Excited now I’ve seen all the wonderful things you’ve been doing! 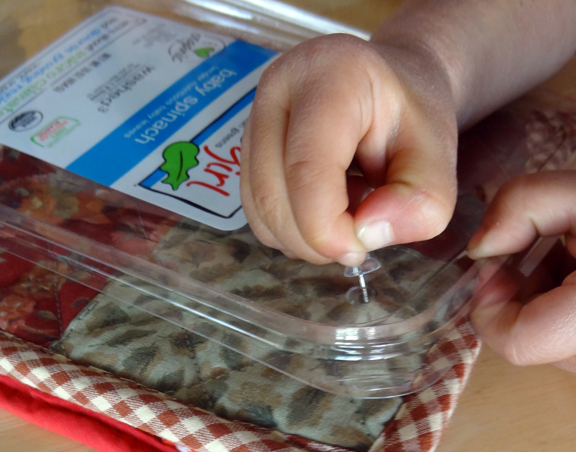 Enjoy raising your butterflies! I’m kinda sad ours are gone. 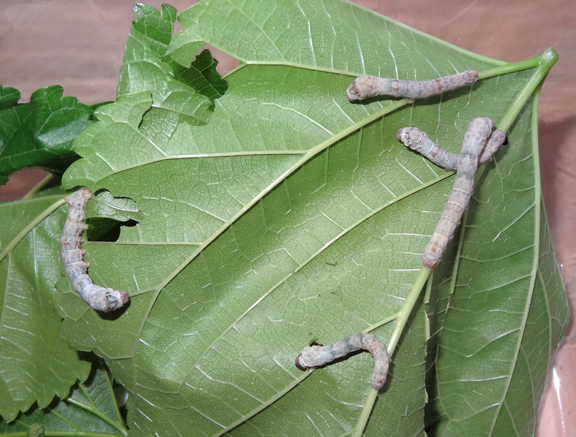 Of course, we still have our silkworms but they are all in their cocoons right now so we are waiting for them to come out. I love raising caterpillars into butterflies. I really need to let the kids do that again, they’d love it. 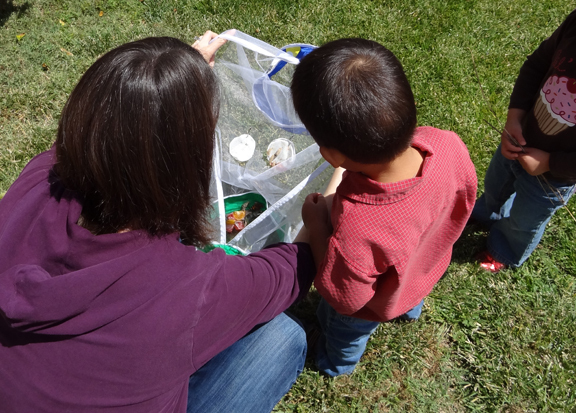 It was such fun for our whole family – my husband doesn’t get involved with most of our homeschool projects (since he’s usually not around for most of what we do), but he too was enthralled by our butterflies.